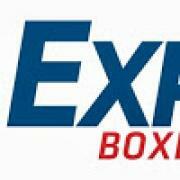 https://www.expertboxing.com - FREE BOXING TIPS! https://www.secretstopunchingpower.com - SECRET punching techniques! https://www.fightingfootwork.com - INTENSE FOOTWORK DRILLS! I share one of my favorite shadowboxing tips. Basically you have to focus on cutting your hands through the air effortlessly rather than to feel a ton of force and pressure through your body. Too many fighters are focused on throwing themselves off balance (via over-shifting of weight) because they like to feel strong by doing more work. Focusing on slicing through the air really helps your hand speed and improves your balance. It's counter-intuitive but sometimes your body is strongest and most efficient when it's doing things in an EFFORTLESS manner!